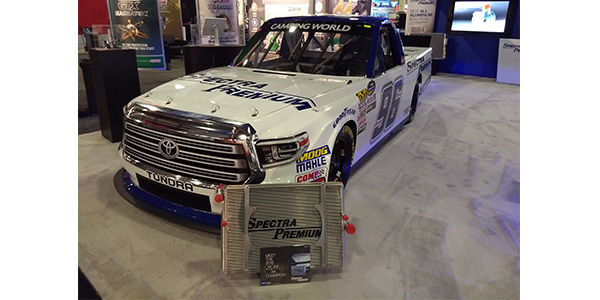 Canadian automotive, light- and heavy-duty truck parts manufacturer Spectra Premium becomes an official NASCAR radiator supplier in the NASCAR Xfinity and NASCAR Camping World Truck Series. 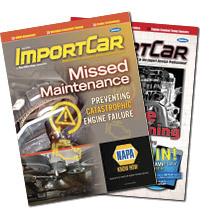 “We are honored to be granted this recognition as a high-performance radiator manufacturer. This approval represents an outstanding step in the development of our performance radiator and serves as a perfect conclusion to an amazing season,” said Collin Francis, vice-president of sales and marketing, Aftermarket USA and Europe at Spectra Premium. Spectra Premium has developed a high-performance radiator to NASCAR’s technical specifications which has passed its final test by successfully running in three previous Xfinity races at Dover (October 6th), Kansas (October 20th) and Texas (November 3rd). This admission places Spectra Premium as one of the select few radiator manufacturers to be awarded the right to supply performance cooling parts to Xfinity and Camping World Truck teams. Spectra Premium engineers honed their stock-car racing expertise in the NASCAR Pinty’s Series, the highest national stock-car series in Canada, where the radiator provided convincing results after only two years on the tracks. The Spectra Premium radiators used in these two American NASCAR series are manufactured in North America at the Laval, Quebec facility where other racing radiators as well aftermarket automotive and trucks radiators are also produced.